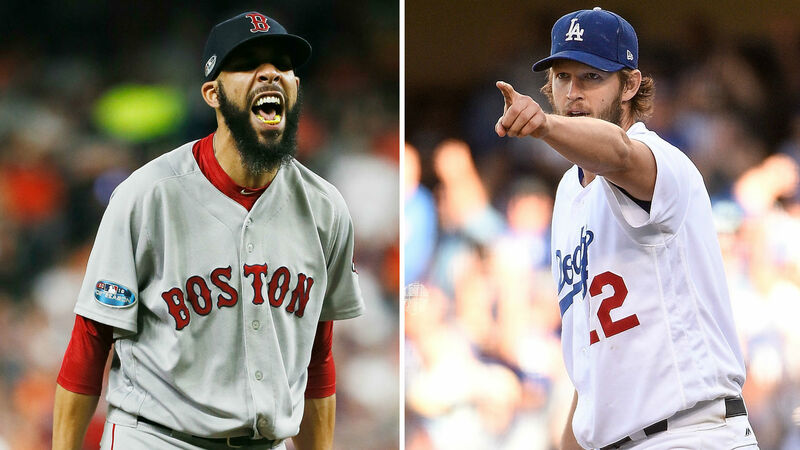 Clayton Kershaw and David Price have long been two of baseball’s best pitchers. While they’ve each had bright spots this October, both have been mediocre in the playoffs throughout their careers. They could change that narrative in the World Series. Kershaw entered this postseason with a 7-6 record and a 4.35 ERA. He threw eight shutout innings in the NLDS and seven innings of one-run ball in the Dodgers’ Game 5 NLCS win over the Brewers. He also pitched a scoreless ninth inning in their Game 7 victory. But Kershaw did surrender four earned runs and took the loss in the series opener. On the other hand, Price, who has a 3-9 career postseason record, was tagged for seven total earned runs in his first two 2018 playoff starts before he threw a six-inning, three-hit gem in Boston’s ALCS-clinching Game 5 win over the Astros. Boston will not have the benefit of the designated hitter in the National League park, meaning it’ll have to take one of its big bats out of the lineup. J.D. Martinez, an American League MVP candidate, typically serves as Boston’s DH but manager Alex Cora said he’ll move to the outfield for road games in the series. That means the Red Sox will either have to bench Jackie Bradley Jr. — the ALCS MVP — or Andrew Benintendi, who slashed .290/.366/.485 in 148 regular-season games.